Karachi Darbar is a famous chain of budget Pakistani restaurants in Dubai that has several branches in the city and almost all of them are doing good business. This restaurant has been able to do so despite having a very ordinary decor just because of two things. One is it’s outclass and authentic Pakistani food, while the second reason is its reasonable prices which mainly attract lot of Pakistani taxi drivers and working class people to this restaurant. 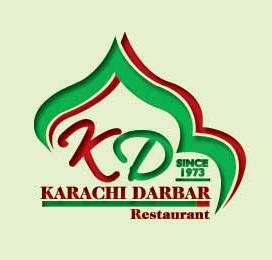 The friendly staff of Karachi Darbar Restaurant welcomes these guests warmly and provides them prompt service. In brief, Karachi Darbar Restaurant is an ideal eating place for those who can compromise on decor, but not on the taste and quality of food. Karachi Darbar Restaurant is swiftly getting popular among the inhabitants of Dubai, who are fond of consuming traditional and delicious Pakistani food. Therefore, to meet this demand in the city this restaurant has opened numerous outlets in various areas of Dubai. If you wish to acquire information regarding its other branches’ location, then click here. People of Dubai get to savor mint flavor raita with cumin and coriander as a side item along with the main course dishes at Karachi Darbar Restaurant that will work as a cooling precursor. Whereas in the main course, guests will get spicy and luscious dishes like mountainous biryanis, karhais, ginger chicken, peshawari chicken and lot more. This would be more sort of cultural dining experience in pretty casual or cafeteria style settings. So for taste and quality conscious foodies, this Pakistani restaurant will not be less than treat. Karachi Darbar Restaurant opens daily and its operations start quite early in the morning around 4:30am and activities come to end at 1:00 am. Head southeast on Al Nahda Road/D 93 towards 24th Street, after coming out of this metro station ans then turn slight left, before making a sharp left turn, after which pedestrian should make a right turn that will lead him or her to the destination, located on the left side. Twar, Union Cooperative Society 2 – Dubai bus stop is 2 minutes walk and 120 meters away from the Karachi Darbar Restaurant. 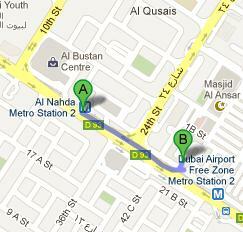 Bus numbers 13 and 64 can drop you at this bus station, as they have stops at Twar, Union Cooperative Society 2 – Dubai. From this bus stop, passengers need to head in the northwest course on Al Nahda Road/D 93, then take a sharp right turn and afterwards make another sharp turn, but this time onto the left side. Later bus users should make a right turn and the destination will be on their left side. Checkout map for directions.